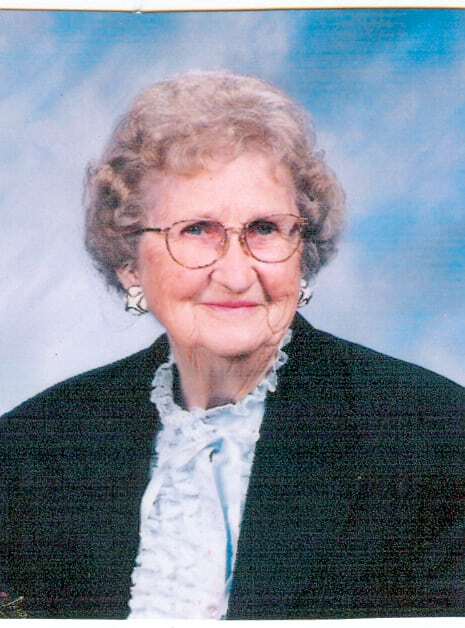 Graveside services for Anna Marguerite Simmons, 93, Lawrence, will be at 10:30 a.m. Monday in Oak Hill Cemetery.Mrs. Simmons died Wednesday, Oct. 8, 2008, at Lawrence Memorial Hospital.She was born Dec. 18, 1914, in Lawrence, the daughter of Thomas Leo and Angelina Barns Burns.Mrs. Simmons worked at Weiderman’s Candy Shop with her father. She also worked at Duckwall’s. She was a member of the Eagles and Odd Fellows.She married Malvin William Icks on Dec. 31, 1938. They divorced. She married Edward S. Simmons in January 1961 in Mexico, Calif. He died in January 1980.She was also preceded in death by a son, Malvin Williams Icks Jr., in 1962.Survivors include two daughters, Anna Marie Hickock and Linda K. Merchants, both of Lecompton; a son, Robert Thomas Icks, Marionville, Mo. ; a stepdaughter, Jeanette Simmons, California; a stepson, Edward Simmons, California; seven grandchildren; and 13 great-grandchildren.Friends may call from noon to 8 p.m. Sunday at Warren-McElwain Mortuary.The family suggests memorials to Mount Olive Church in Billings, Mo., sent in care of the mortuary.